My new companion will show up on Saturday, so we’ll see how that goes. Until then, I’m pretty much going to be staying with the zone leaders, as Elder McCulloch leaves tomorrow afternoon for Maputo. So I’m not entirely sure what’s going to happen, but Friday I will walk with a branch missionary. So as it turns out, President Spendlove forgot to put in the transfer slideshow that I’m in the branch Presidency, 2nd counselor. Ugh. 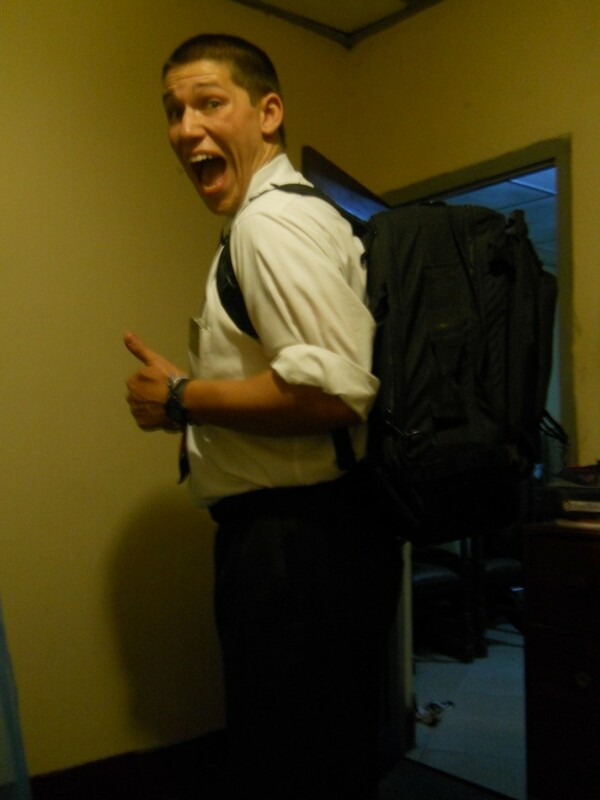 I saw how much work and stress it gave Elder McCulloch, and I’m not too sure how well I’m going to do. There is a lot to think about, and a lot to make sure gets done. And right now I feel super overwhelmed. This transfer, I’m going to be training a new missionary, which is a lot of patience, working with a branch in Mozambique, which is a lot of patience, and as of right now, I’m still the district leader, which is a lot of patience. 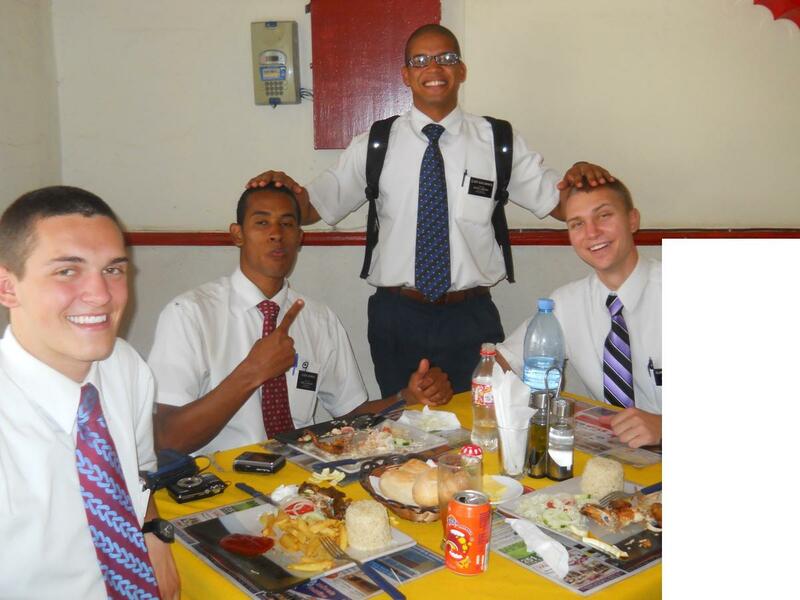 And I’m a missionary. Also a lot of patience. But I am looking forward to it all. As stressed as I might get, I know I can handle it with the help of the Lord. I am quite looking forward to getting to know Presidente Camilizane, our Branch President, better. He is quite an amazing man. So this last week, not much happened. Elder McCulloch and I had a few investigators who proved that they are not willing to change, and so we had to let them go. The worst was a member family. He was the 1st counselor in the Branch Presidency, and when the church wanted to buy land for a chapel, he put it in his name. Eventually, the church decided to move where the building would be located, so instead of giving the money back like he should have, he sold most of the land, piece by piece, and built a house on what was left. This man is cursed. For two years since he did this, he has not been able to find steady work, isn’t happy, and knows something is really wrong. However, he refuses to see it is because of his hardened heart and lack of willingness to change. This last week, we went one last time to see if he was willing to change. Instead of talking like we normally do, we straight up asked him if he was willing to come to church and repent or not. We talked about there only being two paths, the path that leads to life, and the path that leads to death. He wouldn’t answer, so we asked his wife. I have never been so incredibly sad in my life. It is so sad to see these people who so desperately are in need of the Savior and of repentance flat out refuse it. One of the worst parts is that his kid is a good kid, who I think would do well with the gospel to shape his life. But his parents have made their decision. We have come in contact with the kid a couple more times, and if the chance presents itself, I want to see if I can help him. But I don’t know, and I have no idea when I’m going to get the chance again. So this next week, with my new companion, Elder [redacted], I plan on changing how I teach. I plan on doing daily visits, of about a half hour, instead of the hour long visits every other day. I am working right now to get this type of teaching worked out (it’s amazing how hard it is to break lessons up and get them bitesized). But it’s working out well. Our house heading towards our zone activity, right outside of the chapel. 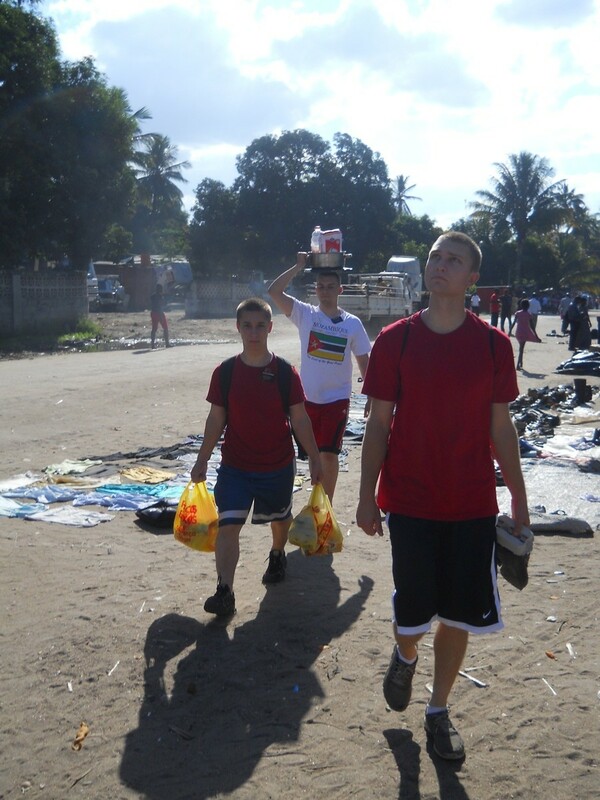 Left to right: Elders Workman, Miller (carrying something on his heaqd like a Mozambiquan), and McCulloch (who just happens to be staring off in to the distance in a very artsy manner). Us at Liboetas for lunch. I am mysteriously absent from this picture.